Sherlock: How did he survive? Although the excellent second series of BBC’s Sherlock finished a couple of weeks ago, people are still debating on just how Sherlock managed to survive that long fall in the season finale. Rabbit thinks it was actually Moriarty who fell to his death but felt that the mystery cyclist appearing from nowhere was very distracting. As all dogs know, cyclists can be fun to chase and this certainly got Rabbit’s attention. 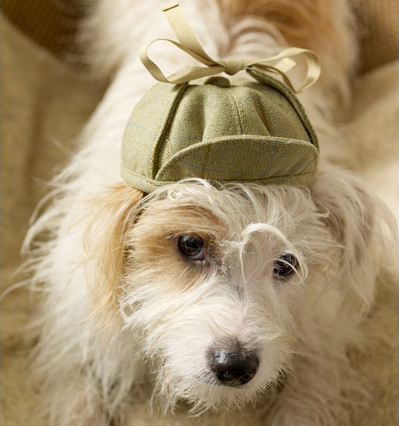 If your dog’s a Sherlock fan then now might be just the time to purchase a doggy deerstalker. Both the LoveMyDog Thornproof Tweed dog hat and the Hartwist Tweed dog hat are in our current sale. Snap one up whilst stocks last and have the smartest looking hound this side of Baker Street. Just my cup of tea! 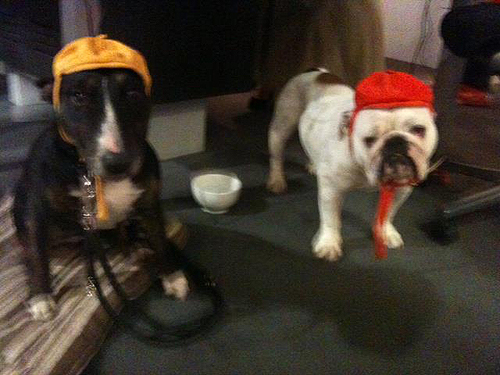 I love it when other dogs pop in to the studio, especially when they’re as cute as my pal Rocco. He’s so tiny that Lilly has a special coat pattern just for him. 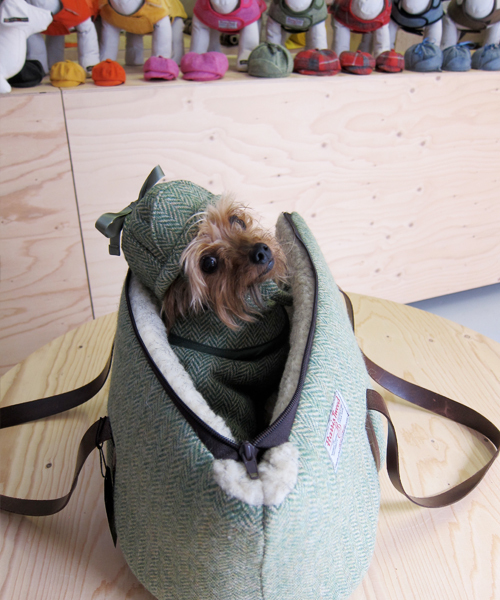 Here he is in Appleby hat, coat and carrier from the new LoveMyDog A/W collection. In the other photo he’s wearing his fave Wilmot dog sweater in the new Sidworth pet carrier. Great to see you Rocco. Love Rabbit. Hats off to Molly and Matilda wearing their new hats from the Spencer Collection. Lilly went off to the BBC London Studios last week and met them plus their owners, presenters Joanne Good and Anna Webb. These fab pics appeared on Facebook afterwards – so glad you like your new kit, girls. Love Rabbit.